Australian Crime writer Leigh Redhead spoke at Belfast’s “Setting the Scene” conference, organised by the ICRH at Queen’s University. Prior to embarking on her literary and academic career, she worked on a prawn trawler, as a waitress, exotic dancer, masseuse and apprentice chef. She burst onto the crime fiction scene in 2004 with Peepshow, which introduced the trouble-finding, fun-loving, ex-stripper, PI Simone Kirsch, to readers. Simone made her next appearance in Rubdown (2005), followed by Cherry Pie (2007) and Thrill City (2010). 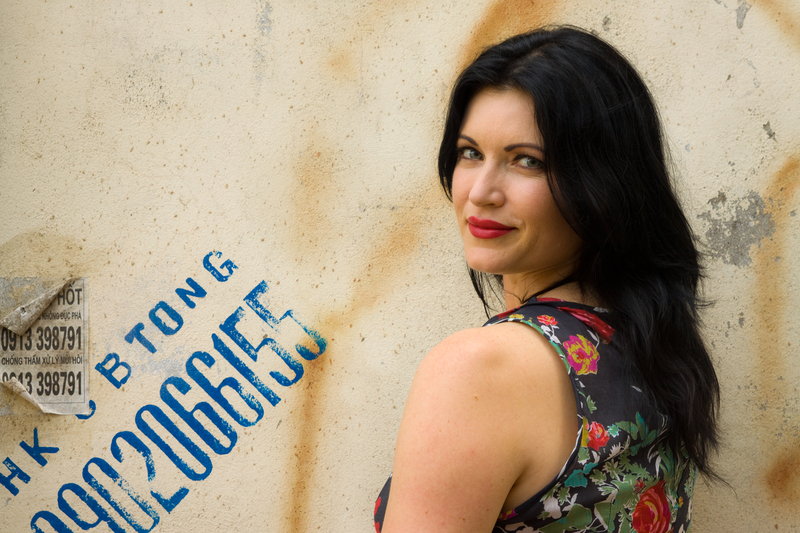 In 2005 and 2006 Leigh was one of The Sydney Morning Herald’s Best Young Australian Novelists and also won the Sisters in Crime Davitt Reader’s Choice Award. She is currently working on the fifth Simone Kirsch book, as well as wrangling a couple of toddlers and completing a PhD at the University of Wollongong. [Dominique Jeannerod] How would you introduce your novels to someone who had not yet read them?